The garden looks good this week. 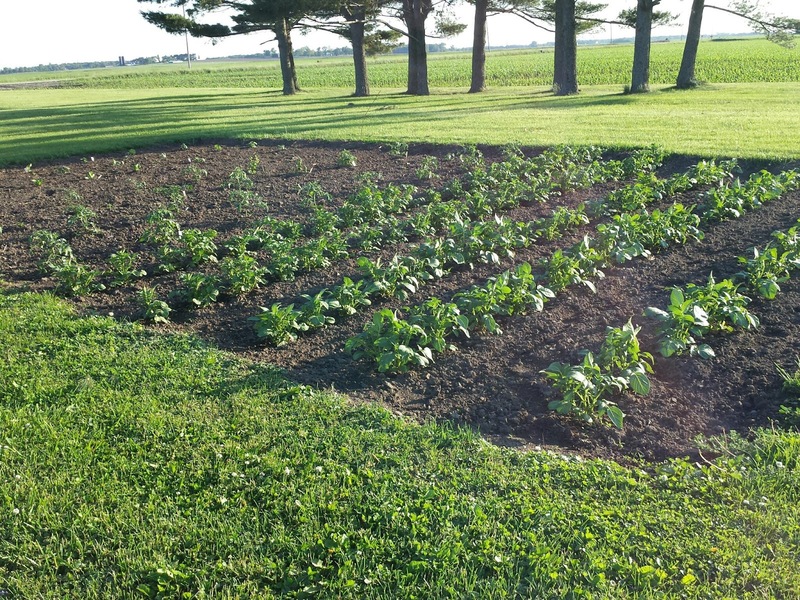 Potatoes are looking healthy! Everytime we go to the store, Dave was picking out a "couple more" tomato plants! I think we need to recount! Peppers are slow as always. This year We are trying spaghetti squash in the garden, I love eating it, hope it turns out!